Everyone deals with occasional financial stresses. We need money to be able to deal with whatever life throws at us. However, when that’s not possible, Auto Title Loans Long Beach can help! 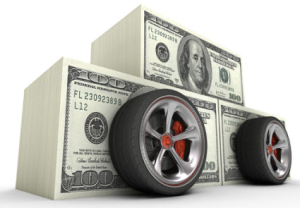 Auto Title Loans Long Beach can help you get the cash you need, fast, without the hassles of a conventional loan. All you need to qualify is to own your vehicle free and clear. Credit is not a major deciding factor with our Long Beach auto title loans, making it the preferred option for many people. CALL NOW TO GET AN ESTIMATE OF YOUR VEHICLE’S WORTH! We determine your car or truck’s worth by what it would bring in at an auction. The worth can vary greatly, depending on the make, model and condition of the vehicle. So, in order to get an accurate estimate, you will need to bring your vehicle by so we can take a look and give you an estimate on the spot. If you are ready to apply for an auto title loan, give our professional loan staff a call at (562) 392-8693 right away. Within 24 hours, you could have the cash you need in your hands. Call today to get the process started. Another option is for you to go here to get a title loan in Anaheim.